Invest $7 to help Build a 7-Generation World. When you give just seven of your hard-earned dollars, you get an inspiring, downloadable, audiovisual version of the bestseller Dream – and help build something BIG. You help change the world. It doesn't get any better than that! It all starts with a dream. Dreams keep us alive. They give us hope and direction. They spark creativity and innovation. They change lives and communities. Just think of those four famous words, "I have a dream…"
But too many of us, younger and older, don't know how to dream – or have forgotten. Get inspired. Find your courage. Join us in the YOU 177 journey from dreams to legacy, aspirations to action, to build a 7-Generation World. We can tap into what really matters for bold innovation to transform everything we do – from the way we live with each other and our planet to how we learn, do business, grow up and grow older – for more inspired lives, stronger communities, and a sustainable world. 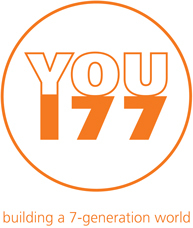 YOU 177 has some support from funders like United Way and the Trillium Foundation. Our fundraising goal for the next six months to keep growing the YOU 177 initiative globally is $77,777. We've been doing research for over a decade that gets to the root of issues we all face everyday. We have linkages with top researchers at universities. And we have an extensive database of innovations and a network of advisors from around the world. Now it's up to YOU. And it all starts with a Dream – only $7. 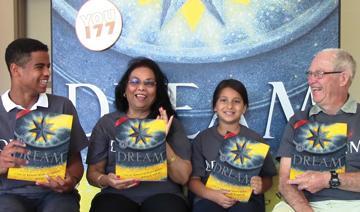 As part of 1 World, 1 Book, Dream is a seemingly simple story that connects generations and inspires hearts. Dream: A Tale of Wonder, Wisdom & Wishes by bestselling author, educator, and researcher Susan V. Bosak has earned a remarkable 11 national awards. It's a one-of-a-kind collaboration five years in the making. 15 of the top illustrators in the world each offer a gorgeously illustrated page in a beautifully told poetic story about life's hopes and dreams, inspiring both children and adults. You're never too young or too old to dream! Says The Bloomsbury Review, "Dream is an elegant book that depicts the journey of life – from infancy to older adulthood – highlighting all the hopes and dreams found along the way... Inspirational quotes from people such as Martin Luther King Jr, Sir Edmund Hillary, and Emily Dickinson are set alongside gorgeous illustrations by internationally acclaimed artists. Richly crafted and thoughtfully written, Dream is a dazzling project that challenges you to find a dream and follow it." Other reviewers have described Dream as "sumptuous and arresting," "magical," "thought-provoking," "impressive and inspirational" (read more reviews). Dream is a meaningful keepsake and a lovely gift book for a birth, birthday, graduation (from kindergarten to college! ), retirement or other life milestone. It's also a rich resource for schools. Dream offers wonder, wisdom, and wishes – for everyone who dreams. The YOU 177 call to action is Dream Bigger, Create Legacy. Do you have the courage to Dream Bigger? Ultimately, we'll help reframe and expand what matters to you and what you're doing to make it bigger and better. 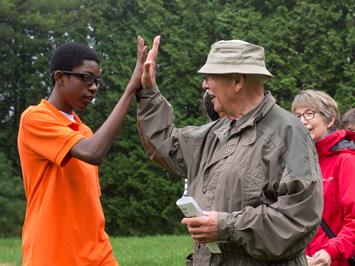 1 World with 7 Generations, 7 Billion People – and YOU. $7 helps build a 7-Generation World, and you get an inspiring, downloadable, audiovisual version of the bestseller Dream. View the amazing illustrations as author Susan V. Bosak shares the story and you hear historical quotations echo through time. It's the start of your YOU 177 journey. YOU 177 is big – and we're asking you to Dream Bigger. Invest $7 and get your download of Dream by contacting us by e-mail or by calling 1-800-772-7765.